As the political and cultural capital of China, Beijing stands at the heart of Chinese history, buzzing with the energy of its high population density and centuries of importance. Beijing is known for sightseeing, historic sites, trails, museums, and shopping. 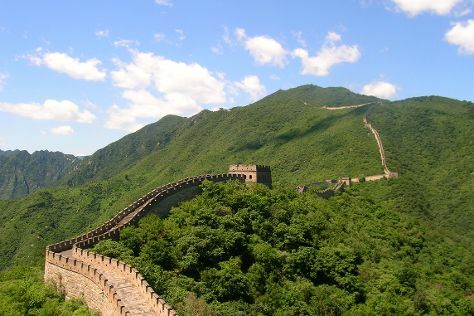 Your plan includes some of its best attractions: delve into the distant past at Great Wall at Mutianyu, contemplate the long history of Temple of Heaven (Tiantan Park), admire the striking features of The Great Wall at Badaling, and get engrossed in the history at The Palace Museum. To find maps, reviews, more things to do, and more tourist information, use the Beijing trip itinerary builder. Miami, USA to Beijing is an approximately 27-hour flight. Due to the time zone difference, you'll lose 13 hours traveling from Miami to Beijing. Traveling from Miami in May, expect Beijing to be little chillier, temps between 81°F and 56°F. Finish your sightseeing early on the 1st (Thu) so you can travel to Shanghai. With a nickname like the "Pearl of the Orient," it's not surprising Shanghai offers some of the most rewarding attractions and activities in the Far East. Shanghai is known for sightseeing, historic sites, shopping, parks, and museums. Your plan includes some of its best attractions: appreciate the extensive heritage of The Bund (Wai Tan), admire the striking features of 1933 Old Millfun, enjoy breathtaking views from Oriental Pearl Tower (Dongfang Mingzhu), and see the interesting displays at Shanghai Museum. To find maps, more things to do, traveler tips, and more tourist information, use the Shanghai itinerary builder. Getting from Beijing to Shanghai by flight takes about 3 hours. Other options: take a train; or drive. In June in Shanghai, expect temperatures between 82°F during the day and 71°F at night. Finish your sightseeing early on the 4th (Sun) to allow enough time to travel to Hangzhou. Hangzhou, the scenic capital of Zheijang Province, remains a popular vacation choice for tourists interested in the area's numerous cultural and natural sights. Kick off your visit on the 4th (Sun): get to know the fascinating history of Gu Shan (Solitary Hill), tour the pleasant surroundings at Prince Bay Park, and then appreciate the extensive heritage of West Lake (Xi Hu). 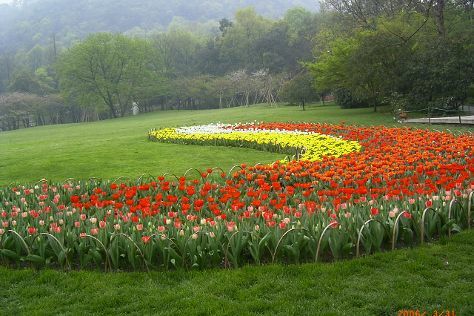 To find traveler tips, more things to do, other places to visit, and other tourist information, read Hangzhou travel planner. Getting from Shanghai to Hangzhou by combination of subway and train takes about 2 hours. Other options: drive; or take a bus. Expect a daytime high around 83°F in June, and nighttime lows around 71°F. Finish up your sightseeing early on the 5th (Mon) so you can go by car to Huangshan. Named after the "Yellow Mountains" with which the region has long been associated, Huangshan offers access to UNESCO-listed sites both natural and man-made. On the 5th (Mon), contemplate the long history of Tunxi Ancient Street and then stroll through Mt. Huangshan (Yellow Mountain). To find ratings, where to stay, reviews, and more tourist information, refer to the Huangshan trip builder. You can drive from Hangzhou to Huangshan in 2.5 hours. Other options are to take a bus; or do a combination of train and flight. Finish up your sightseeing early on the 6th (Tue) so you can travel to Hong Kong. Pack the 7th (Wed) with family-friendly diversions at Hong Kong Disneyland. Pack the 8th (Thu) with family-friendly diversions at Ocean Park. Next up on the itinerary: enjoy breathtaking views from Victoria Peak (The Peak), step off the mainland to explore Lantau Island, see the interesting displays at Flagstaff House Museum of Tea Ware, and make a trip to Tsim Sha Tsui Promenade. 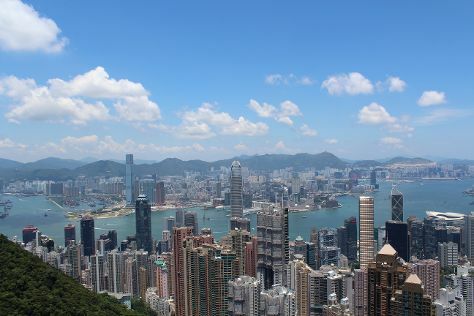 For ratings, reviews, photos, and other tourist information, read our Hong Kong vacation planner. You can do a combination of flight and bus from Huangshan to Hong Kong in 4 hours. Other options are to do a combination of bus and train; or drive. In June in Hong Kong, expect temperatures between 90°F during the day and 81°F at night. Wrap up your sightseeing by early afternoon on the 10th (Sat) to allow time for travel to Lijiang. The cultural capital of the Naxi people, one of the 55 minority ethnic groups in the country, Lijang traces its history back over 800 years, with the city developing from a trading post on the ancient Southern Silk Road. 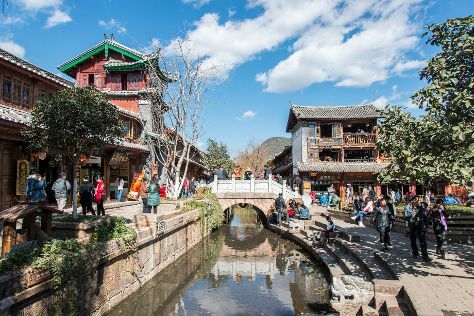 Start off your visit on the 11th (Sun): don't miss a visit to Square Street (Sifangjie) and then don't miss a visit to Old Town of Lijiang - China. For ratings, maps, and more tourist information, refer to the Lijiang itinerary builder. Traveling by combination of bus and flight from Hong Kong to Lijiang takes 6 hours. Alternatively, you can drive; or do a combination of bus and train. On the 11th (Sun), wrap the sightseeing up by early afternoon so you can travel to Xi'an. Historians often describe Xi'an, capital city for over a dozen dynasties, as the birthplace of Chinese civilization. 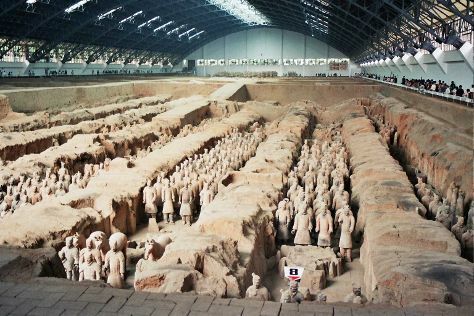 Start off your visit on the 12th (Mon): delve into the distant past at Xi'an City Wall (Chengqiang), then make a trip to Xi'an Bell Tower, then contemplate the long history of Big Wild Goose Pagoda (Dayanta), and finally see the interesting displays at The Museum of Qin Terra-cotta Warriors and Horses. To find traveler tips, where to stay, maps, and tourist information, use the Xi'an trip planner. Traveling by combination of bus and flight from Lijiang to Xi'an takes 4 hours. Alternatively, you can drive; or do a combination of bus and taxi. In June, daytime highs in Xi'an are 88°F, while nighttime lows are 65°F. Wrap up your sightseeing on the 13th (Tue) early enough to travel to Chengdu. The home of giant pandas for more than two million years, Chengdu's vast human history cowers in comparison to the natural heritage of the area. On the 13th (Tue), get to know the fascinating history of Jinli Pedestrian Street, make a trip to Chunxi Road Pedestrian Street, and then identify plant and animal life at Giant Panda Breeding Research Base (Xiongmao Jidi). For photos, ratings, more things to do, and more tourist information, refer to the Chengdu trip itinerary planner. Fly from Xi'an to Chengdu in 3 hours. Alternatively, you can drive; or take a bus. Traveling from Xi'an in June, expect a bit warmer with lows of 71°F in Chengdu. Wrap up your sightseeing on the 13th (Tue) to allow time to travel back home.